Our city (and the neighboring cities) have art festivals a few times a year. They're really fun and draw huge crowds. 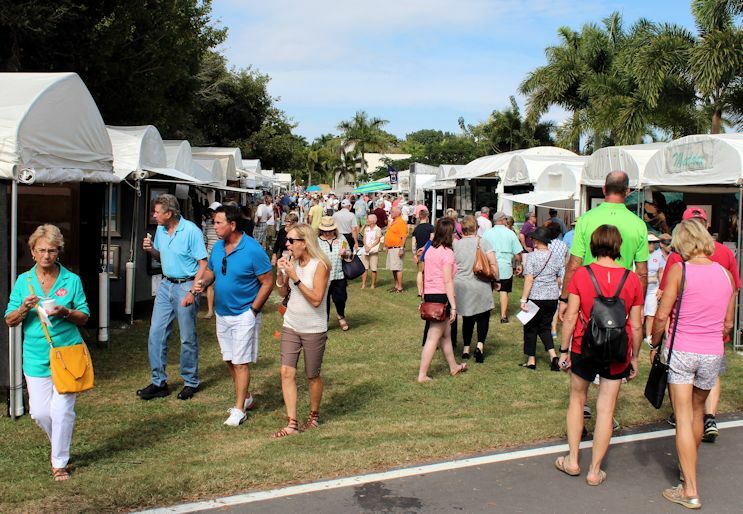 Artists travel from all over the world to put up tents for the weekend and sell their art. Matt has volunteered with the judges of these events for a few years now, but this is the first year he's shown his work like this. As a permanent artist at this particular Art Festival location, he has the benefit of opening his studio and selling his work without having to travel. Matt on the first day of the January Art Festival! This was before we figured out how many pieces to display outside. 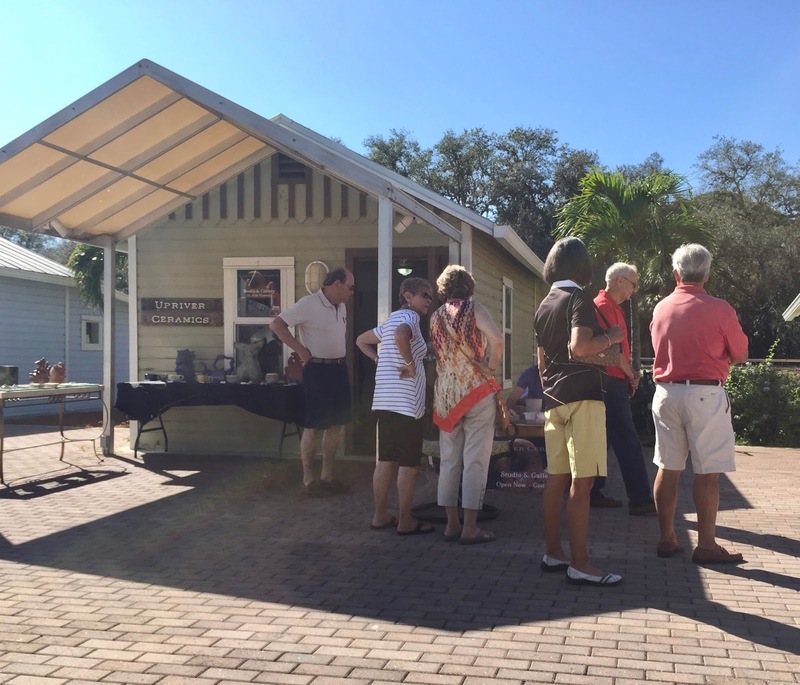 There are three art weekends throughout season (in January, February, and March). January's was quite the experience; it was fun to show off Matt's work and sell some pieces. We learned about setting up to draw in customers, selling and wrapping up pieces, appropriate pricing, etc. We soon learned that displaying 80% of his work outside and having him work on the wheel the entire time is the best way to draw crowds. February's Art Festival was even better because we had a lot of family come in! My parents drove down and attended with my aunt and uncle, and my sister drove up to stay with us Friday and spent all day Saturday with us. Matt's mom drove down with a friend, too, so we had lots of good support. He's actually a really good teacher and Steph has some natural talent - her bowl turned out nicely! My birthday is today, so mom and dad brought my gift when they came on Saturday. How pretty is this necklace?! I took the photos and created the collage in the background; I was surprised by how many people really took the time to look at it and learn about the process of trimming this particular type of bowl. Another perk of being a permanent artist on location is that Matt can continue to work while the studio is open. This means I do a lot of the talking/selling while he works, but when he works on the wheel he certainly draws crowds, and there's the added benefit that he's not losing any working time while the show is going on. Matt is barely visible through these little crowds of interested spectators. I'm looking forward to March's festival. Although it makes the weekend long and a bit exhausting - and the week leading up to it is hectic because Matt is always trying to get one last batch of work done in the kiln - these shows are a fantastic way to get exposure and see all his hard work pay off. I get a little thrill every time someone wants to buy something. Matt literally pulled two all-nighters the week leading up to the festival just to finish, fire, glaze, and fire again one final batch of work. It might sound weird, but I really enjoy carefully wrapping up the piece, putting it in a bag, and dropping a business card in. It's like we're running a little boutique; each piece we sell is completely unique and 100% handmade. I just love seeing people appreciate the talent and work that goes into it. 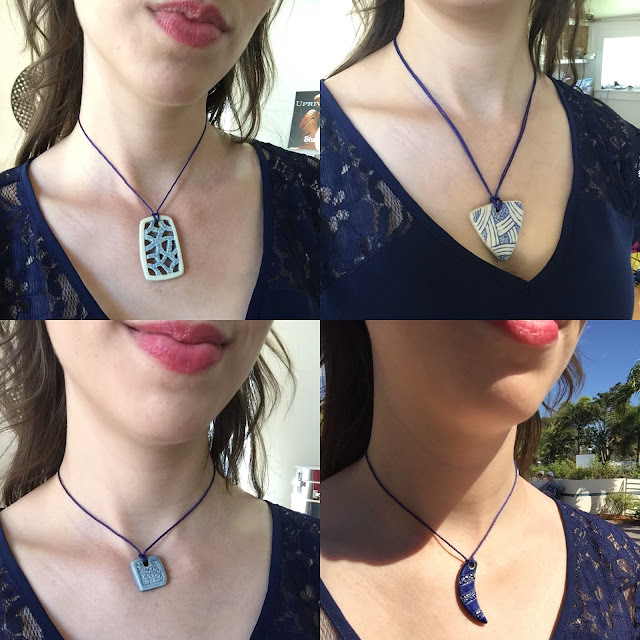 Right now, Matt's working on updating his Etsy shop to show all his new pieces, including some unique necklace pendants I tried on throughout the weekend. One thing I've learned is not to be personally affronted when someone doesn't like Matt's work. I know that everyone has different tastes and sometimes certain styles just don't speak to you! I've heard people compare his work to Alice in Wonderland and Dr. Seuss, which is definitely accurate for some pieces. If that's not the look they're going for, they won't buy anything, but that doesn't mean they don't appreciate the skill involved, so I've learned to be okay with it! Actually, that's helped me feel a little more confident in my writing; I've always been nervous to share with people, but now I realize that tastes differ and you can't force someone to like something that's just not them. Does your city support the arts? Do you like to collect any kind of art? PS: It's my birthday today! I have no idea how I'm celebrating haha! But, it's also my mom's birthday, so feel free to wish her a happy birthday in the comments! You're completely right, just because someone doesn't prefer a certain style of art doesn't mean they don't appreciate the skill involved. Also, they may love it but the style might not look right in their house! I feel that way about music... I am really picky about music I listen to but that doesn't mean I don't appreciate the creativity and talents of performers who aren't particularly my style. I love the pendent necklaces! I can imagine how proud you feel seeing people interested in his stuff. Happy Birthday to you and your mom!! it's my nieces birthday too! I just called her, but she didn't want to speak to me... she turned 2 today. 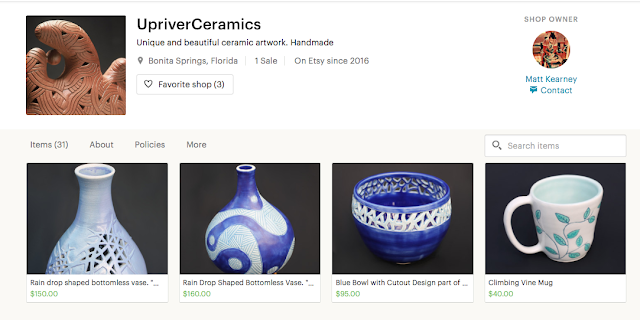 Thanks for sharing the link to Matt's Etsy! now I know what I will be buying myself later this week! I get the feeling that you guys would like Penn State's Art fest! it's a huge festival in my university in the summer. You are right, art is different for everybody and not everybody has to like it. Thanks for sharing his Etsy site, and also the photos of the pendants. I'm a fan of pendants and we don't have much room for more tableware, so perhaps that will be a birthday present for myself coming up. Happy Birthday to you and your momma! I hope you had a fabulous day. Our town does an arts festival every year and I love it. One year I bought a water color of three Labradors that looked EXACTLY like our three labs and I gave it to my mom for mother's day. I wish I would have bought one for myself and every year I go back looking for one! Matt's work is really unique and how fun that he has his own studio. Its definitely a labor of love and I can appreciate that. Those necklaces pendents are nice too.